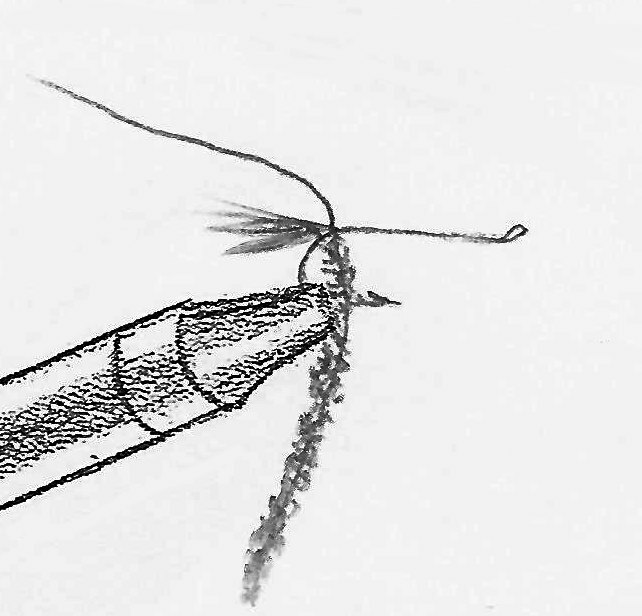 The Kubitz Special steelhead fly had an interesting development. When my son Jeff was 12 years old, he was helping me in my fly shop. 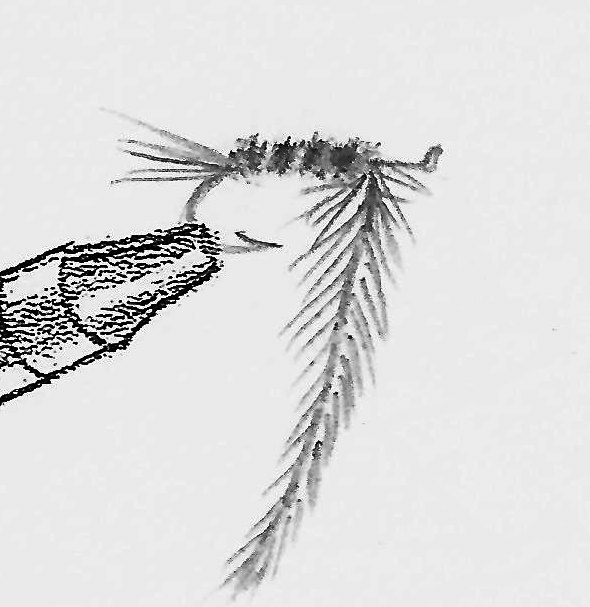 Being a creative fly tier, he would at times make up some weird looking patterns. They went mostly unused, but I would keep them around my desk so he wouldn’t feel as though his efforts went for naught. One day he tied a fly that was somewhat uncustomary in that Krystal Flash was a predominant feature. Like the others, it was added to the collection. It remained there for several months, but every so often it would catch my eye and I’d pick it up to consider its possibilities. This feeling gradually grew on me until my curiosity was overwhelming, and I decided to try it for winter steelhead. The next morning I drove to the Sandy River and began casting my 350-grain shooting head with a 10-pound, five-foot leader. Four casts later I had hooked and landed a bright 20-pound fish. With this startling success, I began to use a sparse amount of Krystal Flash for some of my standard patterns. From then on I paid more attention to Jeff’s creative fly innovations. The fly was named after the access road to the river. for the tail. Tie in the oval tinsel and the chenille. Wrap the green chenille up 1/3 and attach he purple wool. 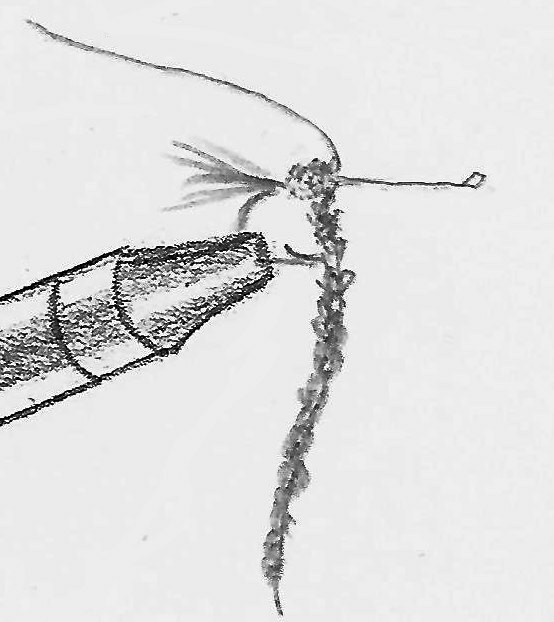 Wrap the wool up and follow with five to six turns of tinsel. Flash about the length of the body. Finish the head and cement. 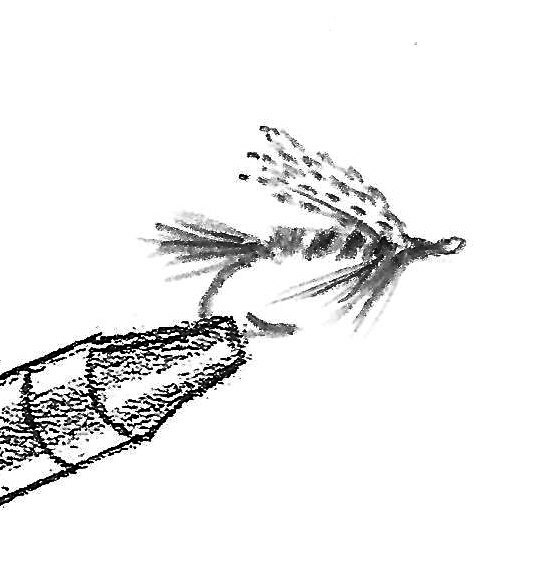 How to Fish Foam-bodied Surface Bug Flies.